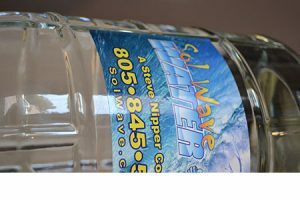 Sol Wave Water offers emergency water programs for your family and office. Did you know that your should have 1 gallon of water per day per person for up to three weeks (21 days). For a family of two you should have 40 gallons of fresh drinking water available. Survival Rule of 3 and Survival Priorities, For as little as $36/year. Now is the time to build or expand your home emergency kit. With strong El Nino conditions this Winter, you should prepare for possible flooding and related power outages. Basic service such as electricity (see Sol Wave Solar for Solar electricity needs! ), gas, water, sewage treatment and telephones may be cut off for days. Your supply kit should contain items to help you manage during these outages. Visit SantaBarbaraCA.gov/DisasterKit to find out more about what to include. Having a disaster kit ready, along with an evacuation plan and a family communications plan, can make a big difference for you and your family.